Ohio was once the epicenter for many classic eastern and Midwestern railroads as all kinds of famous lines could found in the state. If you are interested in Ohio railroad jobs the state is still home to more than 6,000 route miles of track today. For instance, Class Is CSX Transportation and Norfolk Southern operate in the state along with Class IIs Indiana & Ohio Railway and Wheeling & Lake Erie. Additionally, Ohio is home to numerous shortlines along with Amtrak. In terms of what the state contributes from a freight standpoint, it is well diversified from ore and coal to metals, agricultural products, and other traffic. If you are interested in becoming a railroader my first advice would be to take the time and really learn the inner details about the industry before diving into a career as such. This is simply to give you a heads up about what to expect if you are unfamiliar with railroads, or at least what a job working for one is like. On Class Is, especially, 12-hour work days are normal. While smaller regional and shortline railroads do offer a better schedule, Class Is offer unmatched pay, benefits, and retirement. For instance, engineers can easily clip an annual salary at, or over, six-digits. Overall, it comes down to whether you feel the pay is worth the time away from home and family as railroading is not for everyone. Please keep in mind that while I try to keep this information as updated as possible I cannot guarantee that it is always entirely accurate. In any event, if you are pursuing a bachelors or advanced degree in the field of business, management, or related subject (such as economics or accounting), you might want to take the time to peruse the programs some Class Is have to offer, which include internships and graduate programs. Please note, while many railroads do have websites or web pages, they are not included here. However, by doing a quick search you can find their site on the web. Indiana & Ohio Railway: The I&O is now part of Genesee & Wyoming's large family of railroads and operates through Ohio, mostly west of Columbus. Overall the company owns nearly 600 miles of unconnected lines and interchanges with all of Ohio's Class I railroads. Please visit G&W's website for career information. Wheeling & Lake Erie Railway: The W&LE dates back to the 1870s, originally envisioned to serve Lake Erie ports with the coal fields of northern West Virginia, northeastern Ohio, and northwestern Pennsylvania. 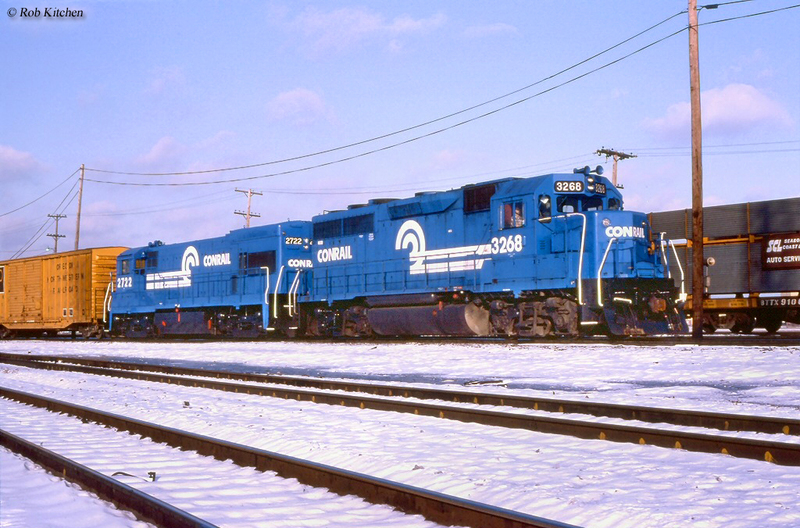 The original company was dissolved by Norfolk Southern in 1989 but was reborn a year later when the Class I spun off almost all of the original W&LE, Pittsburgh & West Virginia, and Akron, Canton & Youngstown trackage giving the new Wheeling & Lake Erie nearly 600 miles of wholly owned property. Today, with trackage rights the W&LE operates nearly 1,000 miles of railroad and connects with all of Ohio's Class Is and a number of smaller lines. The W&LE is independently-owned and you can find employment information via their website. Ann Arbor Railroad: This historic short line, now a Watco property, dates back to the late 19th century and its peak connected Toledo with Frankfort, Michigan. However, today, the reborn Ann Arbor system only runs between Ann Arbor and Toledo. Please visit Watco's website for career information. Ashland Railway: This short line operates two lines radiating northward from Mansfield, with one reaching West Salem and the other serving Willard. Overall, the railroad operates nearly 60 miles of track. Please visit the company's website for contact information. Ashtabula, Carson & Jefferson Railroad: This six-mile shortline serves the area around Jefferson and also provides summertime excursions for the public. The AC&J maintains a small website where you may find contact information. 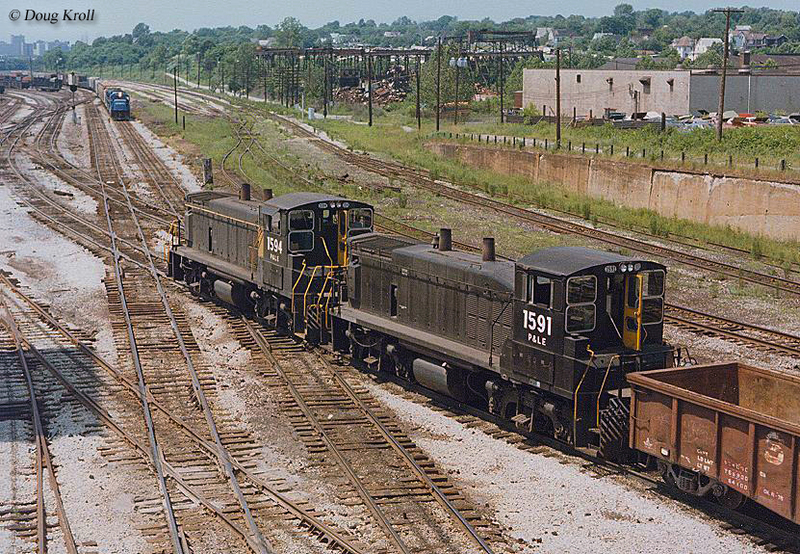 Camp Chase Industrial Railroad: This terminal railroad serves western Columbus, switching a number of industries in the area. It is owned by owned by Carload Express, Inc. Please visit their website for job information. Central Railroad of Indiana: This short line, owned by Genesee & Wyoming, is mostly situated in southeastern Indiana although it also reaches Cincinnati. Overall the railroad operates nearly 100 miles of track. Chicago, Fort Wayne & Eastern Railroad: The CFW&E is yet another G&W short line operating over 300 miles of railroad in northern Indiana and Ohio connecting Tolleston (near Chicago) with Crestline. Cleveland Commercial Railroad: This small short line serves industries near the city of Cleveland. To contact the company; 7632 Bond Street, Cleveland, Ohio 44139-5351. Cleveland Harbor Belt: This terminal road also operates in along the lakefront serving the Port of Cleveland, utilizing about 1 total mile of track. The road began operations on August 1, 2012. Known contact information is not available. Columbus & Ohio River Rail Road: This large short line, a G&W property, serves central and eastern Ohio operating nearly 250 miles of track between Mingo Junction at the border of West Virginia with Columbus. Flats Industrial Railroad: The Flats Industrial Railroad, which has been in operation since 1996, also serves the industries surrounding Cleveland. To contact the company; 1757 Columbus Road, Cleveland, Ohio 44113. Indiana Eastern Railroad: The Indiana Eastern Railroad operates former C&O trackage between Richmond, Indiana and Fernald, Ohio with a connection to both CSX and Norfolk Southern. Please visit the company's website for contact information. Indiana Northeastern Railroad: The Indiana Northeastern Railroad has been in operation since 1992 and today serves the corners of three states; Ohio, Michigan, and Indiana. The railroad connects to Norfolk Southern in Montpelier, Ohio and operates a system covering about 120 miles. The independently-owned railroad maintains its own website. Kanawha River Railroad: Launched in July of 2016 the Kanawha River Railroad is a Watco subsidiary operating most of the Norfolk Southern's former West Virginia Secondary in Ohio and West Virginia. The corridor totals 309 miles of former New York Central and Virginian trackage from Refugee, Ohio (just southeast of Columbus) to Alloy, West Virginia with another section between Cornelia, West Virginia and Mullens, West Virginia (ex-Virginian). Lake Terminal Railroad: This short line is a Transtar property and operates a switching railroad serving industries located near Lorain based along Lake Erie. For job information please contact Transtar. Mahoning Valley Railway: This railroad is owned by ﻿Genesee & Wyoming﻿ and operates just a short, six-mile section of track near Youngstown with connections to both CSX and NS. Napoleon, Defiance & Western Railroad: This historic short line between Woodburn, Indiana and Toledo, Ohio but today only reaches as far east as Liberty. It is now a Pioneer RailCorp subsidiary (one of many); please visit their website regarding employment with the company. Newburgh & South Shore Railroad: This historic railroad, now an OmniTRAX company, once served the steel mills located near Cleveland. However, today, it operates about five miles of track hauling a wide range of freight (including steel). OmniTRAX operates several short lines across the country; please visit their website regarding job opportunities. Northern Ohio & Western Railway: The NO&W is another OmniTRAX property operating 25 miles of railroad between Tiffin and Woodville with connections to both CSX and NS. Ohi-Rail Corporation: This small, independently-owned short line operates former New York Central branch lines between Minerva and Hopedale with connections to Norfolk Southern, W&LE. For information regarding job openings please visit their website. Ohio Southern Railroad: Another Genesee & Wyoming shortline the railroad connects Zanesville with New Lexington and Glenford. 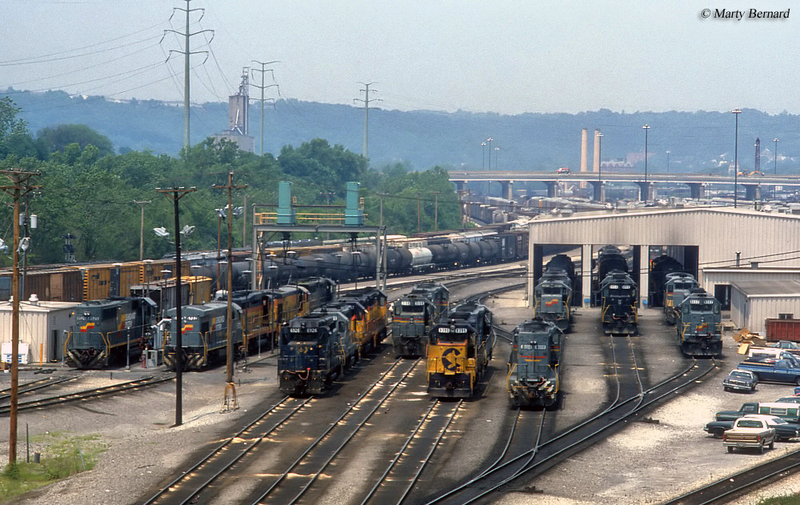 The company has interchanges with both CSX and Norfolk Southern. Republic N&T Railroad: This short line has been in operation and leases trackage owned by Norfolk Southern near Canton. To contact the company; 2633 8th Street Northeast, Canton, Ohio 44704-2311. R.J. Corman Railroad - Western Ohio Lines: RJ Corman operates a variety of rail-related businesses, including shortlines. It currently owns to lines in Ohio including a 55-mile section between Warwick and Uhrichsville, and another 51-mile section between Lima and Portland, Indiana. Please visit the company's website for career information. US Rail Corporation: US Rail operates several shortlines in the eastern United States, including three lines in Ohio near Cleveland, Jackson, and Hamilton. Visit their website for job opportunities. Warren & Trumbull Railroad: The W&T is another Genesee & Wyoming shortline, that operates just four miles of track east of Warren with connections to both CSX and Norfolk Southern. Youngstown & Austintown Railroad: Another Genesee & Wyoming property, the Y&A is also quite small operating just five miles near Youngstown and also connecting to both NS and CSX. Youngstown Belt Railroad: This short line is Genesee & Wyoming's largest in northeast Ohio operating 13 miles of railroad between Ravenna and Youngstown with connections to several railroads including NS and CSX. Youngstown & Southeastern Railroad: The Y&S is owned by the Indiana Boxcar Corporation and has been in operation since 2006 running between Youngstown, Ohio and Darlington, Pennsylvania. Please visit Indiana Boxcar's website for contact information.